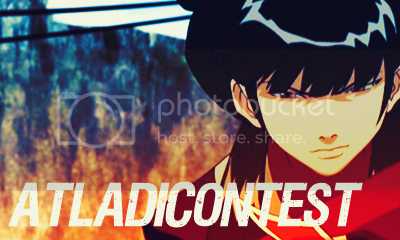 atladicontest is a community that is dedicated to weekly icontests featuring the beautiful, strong and badass female cast of the hit television show, Avatar: The Last Airbender. From princesses to bandits, all of the lovely ladies. ● Brushes, textures, text, blending and animation are allowed otherwise stated. ● Don't post your icons anywhere else before the end of the challenge. ● Upload your icons on a hosting site like "tinypic" and post them in a comment to the challenge post with both the image and the URL. ● No fanart, icons that you have not made yourself, icons that do not pertain to Avatar: The Last Airbender, or icons that pertain to Avatar: The Last Airbender but has no female characters in it otherwise stated. ● Don’t vote for yourself or ask someone else to vote for you. Let’s be fair. Your lj user name must not be visible in the name you give to your icons. The icons must be anonymous. ● All the comments will be screened until the end of the challenge or the voting. ● Respect other people’s work and don’t use obscene or sexually explicit language. ● If you would like to use one of the icons, please ask the makers. ● Be creative and have a good time. So this means that I vote icon #23 for first place, #05 for second and 40 for third. I will give points to icons based on where you voted them. So you see, the placement of where do you put the icons you vote for is HIGHLY IMPORTANT. Special categories will vary each week; the contestants WILL NOT be informed of the categories until the voting is up.